The Netherlands in a nutshell! Bike tour ‘De Omloop’ takes you the beautiful nature reserve ’t Twiske, where you can see traditional water pumping stations, lakes and dikes. 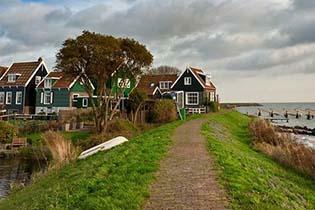 On the way we visit a mill and we cycle through authentic fishing villages such as Monnickendam and Marken. One of the highlights of this tour is the crossing of the Noord-Holland Kanaal with a small ferry. This tour will show you the Netherlands in a nutshell! 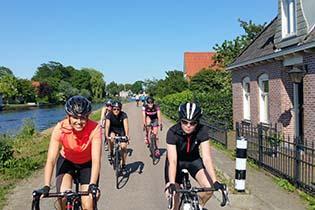 This bike tour starts daily at 1 p.m. during the cycling season (1 April to 31 October).